Or "Singing to the Trees" as an old friend puts it. Wassailing means "be in good health" or “be well” . 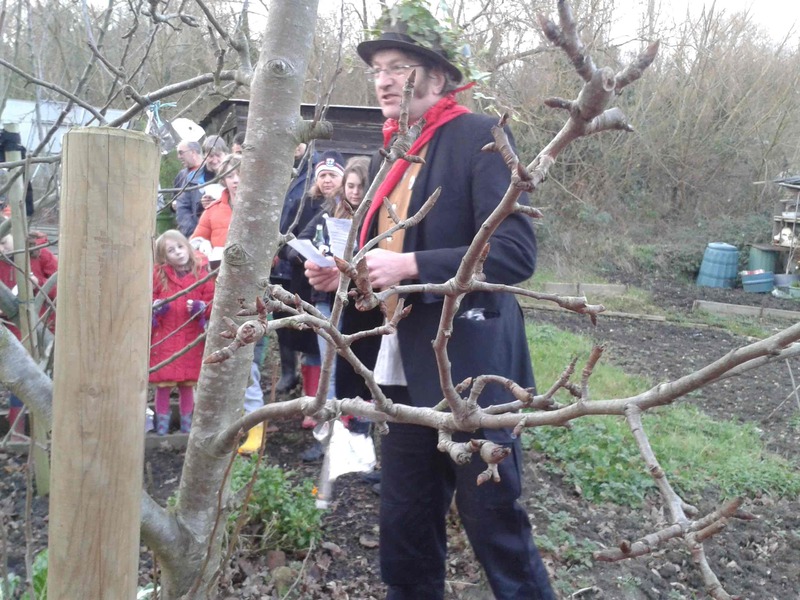 An ancient tradition going back to Pagan times, that undertakes a evening visit to an apple orchard on Old Twelfth night 17th January ( or for some New Twelfth night 5th Jan). The assembled sings a Wassail carol, cider is poured on to the roots of the tree, cider soaked toast is laid in the branches and finally a lot of noise is made to waken the Sleeping Tree Spirit – All of this to wish for a good bountiful crop in the forthcoming season, keeping the tree safe from any evil spirits until the apples appeared. Finally for the participants a toast would then be drunk from a wassail cup. This tradition is being revived in a number parts of England including in area that isn't normally known for apple growing – London. 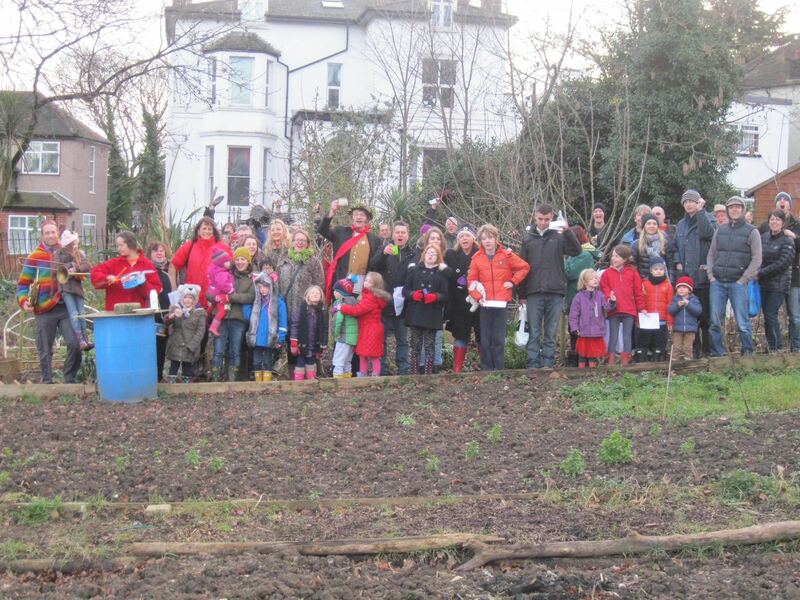 About 8 years a neighbour and I decided to hold a wassail on our local allotment in SE London that had a number of apple trees. It seemed a good idea to hold an event, as Christmas and New Year has passed, January is quiet so lets have an gathering to get people together and out in the fresh air. We had to ado sopme adaptations, as there were a number of families who wanted to come with small children, so decided to hold it during the afternoon of the nearest Saturday to Old Twelfth night. In the countryside shotguns are fired to wake the sleeping spirits, we didn't want the attention of the Met police finest, so we have used party poppers ( theres often a load left over from New Years Eve). We visit a number of trees in the allotment site each one gets a different wassail carol, locally made London cider poured on its roots and the tree is left decorated with party popper streamers. 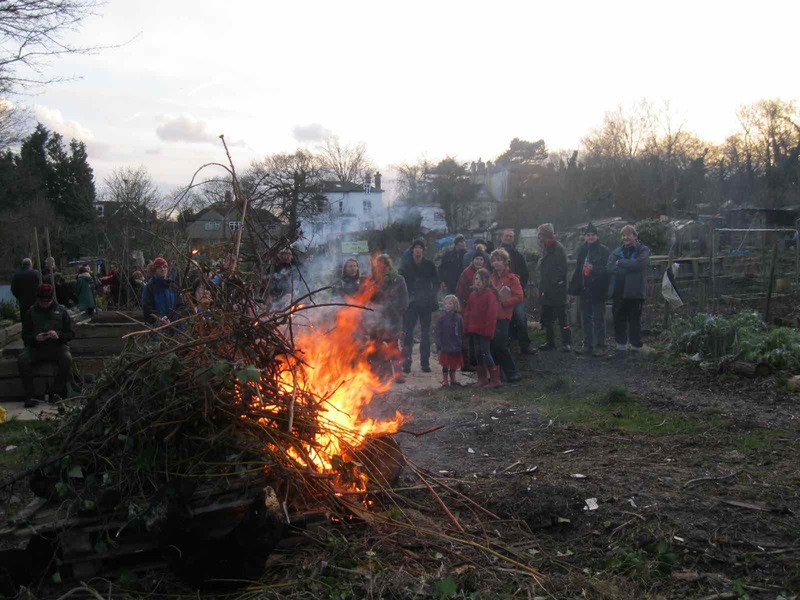 At the end we retire to gather round a bonfire, consuming jacket potatoes with toppings, washed down with cider, of course apple juice for the youngsters. A few other places in London now do such events. The Two Doves at Bromley Common has a evening wassail with the Ravensbourne Morris men who also enact a traditonal Mummers play. 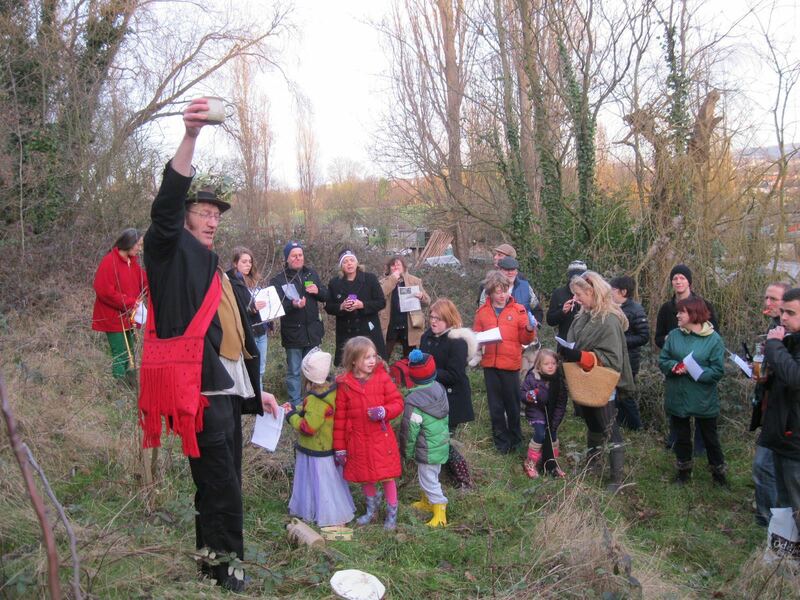 Look out for Wassailing, or other traditional activites in your area in January.